 The following was written by Natalie Bradley, entertaining contributor for Brooklyn Limestone. This year, you’ve probably noticed that all things aviary and bird are quite popular, and parties are no exception. I love the concept for this party for a tea with friends, lunch date, or a get-together this spring just because. One thing that I really want to emphasize whether you’re planning an aviary-inspired party like this one, or something completely different, is how to pull it all together for that professional’s touch. It’s essential to create a theme, a brand, or an underlying tone for your party so that it has that cohesive feel from start to finish. You’ll notice with this party, I selected a few items that we repeated multiple times throughout the party to capture that polished look we all love so much. This is key to creating any event that is well thought-out and looks like a professional party planner/designer created it. So how do we you do this on your own? Using this party as an example, I’ll walk you through some simple steps to capturing a fabulous event theme at home. Even though I have a beautiful aviary stamp set with 8 different stamps in it, I only chose 3 different stamps within it to use for details throughout the event (napkins, menu labels, place cards,and thank you note). The same is true with color choices. We have very few colors integrated into this event. For the most part, my rule of thumb is to use only 3-5 colors for details and texture within an area to keep things cohesive. This event only has white, green, blue and yellow as the prominent colors used. Especially when you’re not a professional event or floral designer, this will really help you to pull it all together. Choose one or two elements overall to carry through for texture. For this event, contrasting the white vintage plates and platter with the moss in the decor really added a lovely depth and texture overall that your guests will notice. Even if your guests don’t realize what you’ve done exactly, they’ll appreciate it and notice that it’s quite pulled together. If you don’t know how to work with flowers, don’t sweat it. Use plants instead. These sweet little plants that served as our centerpiece were purchased from Trader Joe’s market for only $1.99 each. And the bonus for you is that you can enjoy them in your home (or yard) for a long time after it’s all over! Always remember with every decision, less is more, and simple is fabulous. Too much of a good thing can ruin your party’s look and scream amateur and DIY-gone-bad. Love this post - such great tips for amateur party planners.